Nowadays with the advent of Windows 8 and Windows Server 2012 you no longer require WAIK for use with Configuration Manager 2012 SP1. Instead you should download and install ADK. Be aware that this download is effectively a web installer, once you run adksetup.exe you are given the option to download on the fly or store the installation files elsewhere. If you are using ADK with Configuration Manager 2012 SP1 you don’t need to install all roles, only 3. 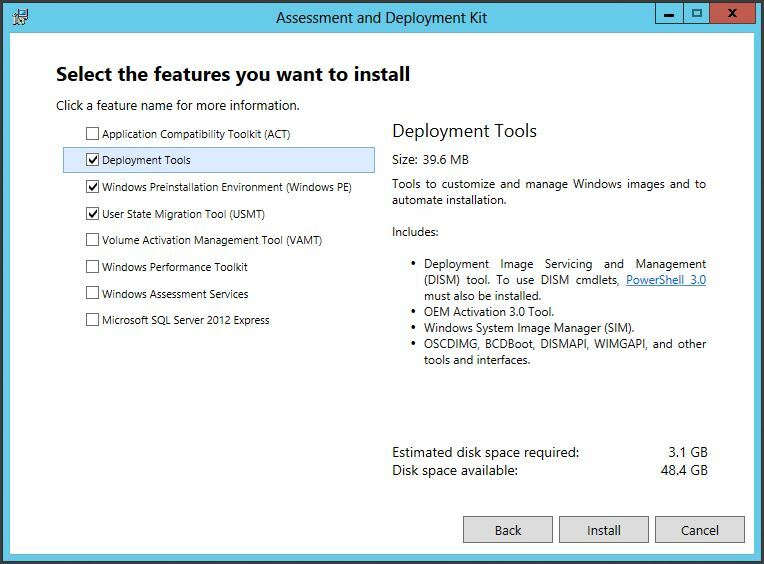 It’s also worth noting that you shouldn’t run WAIK and ADK on the same server, Microsoft recommends you remove WAIK prior to installing ADK.